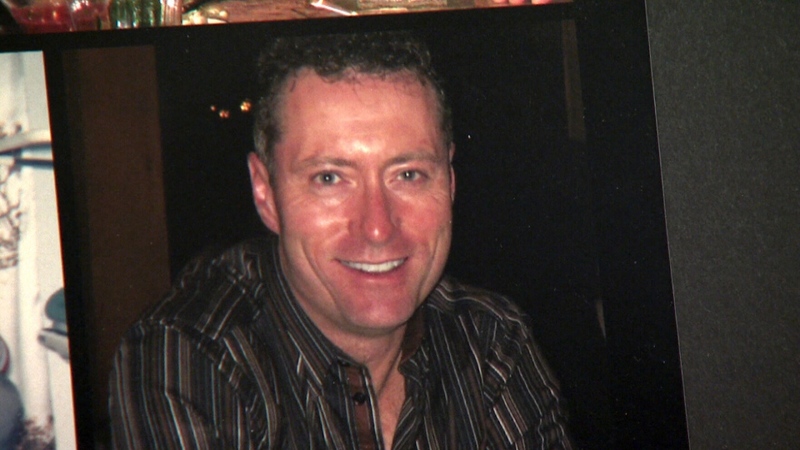 After enduring debilitating eye pain for more than two decades, an Ontario man took his own life in what his family says was an act of desperation to end the suffering caused by complications from laser eye surgery. 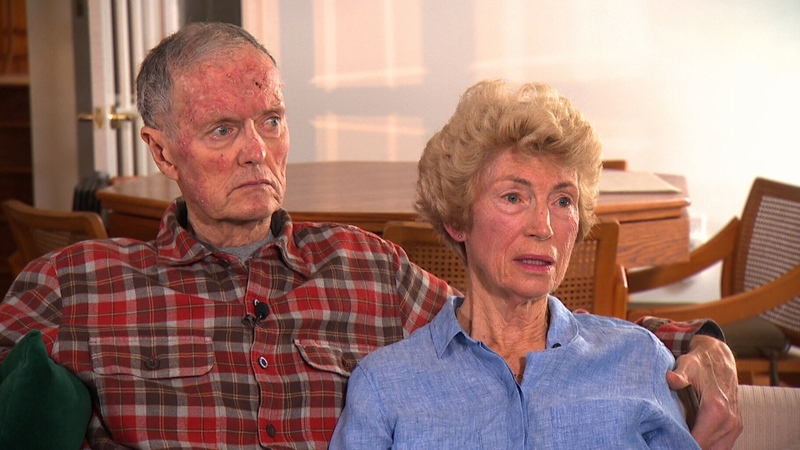 The family of Paul Fitzpatrick spoke to CTV News following a W5 investigation last month into the occurrence of a rare, but painful side-effect of laser eye surgery that has left some patients in severe, chronic pain. The complication, known as corneal neuralgia, can cause nerve damage to the eye and can be so excruciating that some patients were unable to work or in some cases, contemplated suicide. It’s a condition Paul’s family suspects he may have suffered from for more than 20 years, although he never received a diagnosis for it. Christine Fitzpatrick said her son opted for a type of laser eye surgery called photorefractive keratectomy (PRK), which was the first form of laser eye surgery, in 1996 when he was 32 years old. Unlike its popular successor Lasik eye surgery, the PRK procedure involves removing the thin, top layer of the eye and discarding it before the underlying corneal tissue is reshaped using a laser in order to sharpen vision. The surface of the cornea is then supposed to heal itself in a few days following the surgery. Many patients who receive PRK and other Lasik eye surgeries to correct their nearsightedness or farsightedness have no complications and doctors say the procedures are safe and effective. But that wasn’t the case for Paul, according to his family. “It ruined his life, and it also left a lot of people around him suffering,” Paul’s father Gene Fitzpatrick said. Paul’s family said he started suffering from migraines and dry eyes shortly after his surgery. 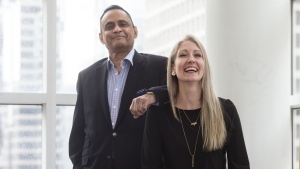 When he was unable to find a doctor in Canada who could help him, the self-made millionaire travelled to Europe and the U.S. in search of a doctor who could diagnose and treat his symptoms. Kevin Fitzpatrick said his brother was eventually offered additional PRK treatments, but his pain only intensified. “The burning pain in his eyes, the needles in his eyes, that was how he described the pain,” Kevin said. In the months leading up to his death, Paul’s family said he would spend most of the time with his eyes closed to lessen the pain and he walked around with a cane, planning to move closer to his parents in Hamilton, Ont. On Oct. 6, two weeks before CTV News and W5 published the story on the rare complications from laser eye surgery, Paul died by suicide. In a note the 54-year-old old left for his family, the father of two described the agony he suffered in those final months. In Paul’s obituary, his family wrote about his struggle to find relief for the eye pain he experienced following his laser eye surgery. They noted that his “suffering abruptly ended” after he was unable to find a solution. After he died, Paul’s family discovered a case containing an array of lenses and medical records that documented his years-long, fruitless search for help. Paul’s death is believed to be the first documented suicide linked to laser eye surgery in Canada. There have been 10 documented cases in the U.S. according to Paula Cofer, the founder of the online support group Lasik Complications. Paul’s family said they’re sharing his story in order to raise awareness about the potential complications from laser eye surgery. Paul Fitzpatrick died by suicide after enduring constant eye pain for more than two decades. Gene and Christine Fitzpatrick, the parents of Paul Fitzpatrick, say their son had carefully researched laser eye surgery before undergoing the procedure.